Li came, Li saw (the Indian confusion) and Li won. It was not difficult. He spoke of the Three Idiots, a film that his daughter ‘forced’ him to see, and the Indian establishment (and media) melted: “The guy is really nice; he loves Indian movies”. Further, he chose to eat vegetarian at his Indian counterpart’s banquet. Wow, here is a Chinese leader who is different; he deeply respects our customs. But is Mr. Li really different? In Germany, he even watched live the European Champion League final between Bayern Munich and Borussia Dortmund. He told a charmed German chancellor "If we both come together in an ideal and optimal way, a dream team will emerge." The tough lady also melted. Though the European Commission had planned to impose hefty duties on solar panel imports from China, making it difficult for Beijing to dump low cost panels and destroy the European solar industry, Merkel said that Germany would oppose Brussels’ decision. In Berlin, Li even announced that China was willing to preferentially open up its market to Germany; never mind that it is impossible under EU rules, Mr. Li made the offer. 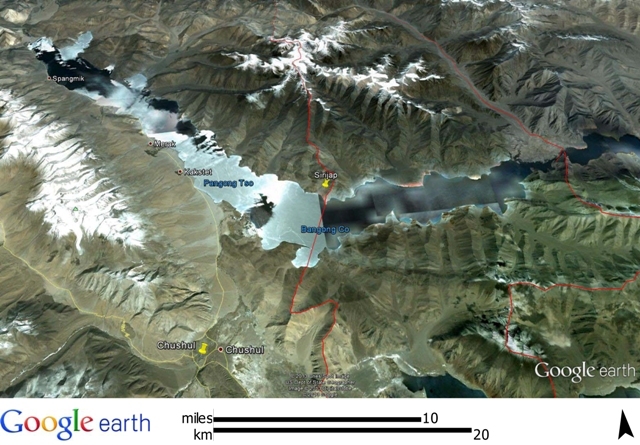 As Mr. Li was demonstrating his charisma in Europe, the news flashed that China had managed to construct a road upto Finger–IV area in the Sirijap sector, on the northern shore of the Panggong Lake in Ladakh, some five km deep inside the Indian territory. The incident took place on May 17, only two days before Li’s arrival in India. As Delhi was keen to have a ‘successful’ visit by the Chinese Premier, the cat was kept in the bag. Not a word to explain the Chinese PLA’s intrusions in Depsang Plains, just five weeks earlier. Is the Indian public not entitled to know what has happened? Apparently no! The common man shall probably never be told why the Chinese came, camped on Indian soil and left. Why was the incident taken so lightly by India? It will remain a secret for the sake of Sino-Indian friendship. From the start, Mr. Li probably knew that nothing would happen on the border front. A proof, he left his main ‘negotiator’ at home. Yang Jiechi, State Councilor and Special Representative on the border issue (far senior to the Wang Yi, the Foreign Affairs Minister who was in Delhi) was meeting the Mexican Foreign Minister and the Mongolian Deputy Prime Minister in Beijing while Li was enjoying Indian food. Why was Yang not in the Premier’s plane? Simple, it is not in China’s interest to work out a border agreement with India right now. The marine disputes in the South China and East China Seas are far more important. Another serious issue between India and China is the trade imbalance. Last financial year, India's exports to China reached only $ 13.52 billion while its imports were $ 54.3 billion. A trade deficit of $ 40.78 billion is not paltry! Here again, though China professed that it is keen to solve the issue, in action Beijing does not seem interested. Who was represented? Mainly companies wanting to enhance their sales in India such as crane manufacturers (Sany), power machinery (Shanghai Electric), telecom equipment giants (Huawei and ZTE), aluminum industry equipment (Dalian Cimm), items for lightening (China National Township Enterprises) or art and craft goods (China Artex). The strangest is that the Indian National Security Council (NSC) had warned the Government that Telecom imports from China could pose significant national security risks to the country. Even if it rings alarm bells in the Indian intelligence circles, the Government does not seem to be much bothered. In an interview in New York, EU Trade Commissioner Karel De Gucht alleged that Huawei and ZTE violated anti-dumping and anti-subsidy guidelines; he said the cheap capital ‘created a distorted playing field’. The South China Morning Post pointed out that “cheap finance from China's state-backed banks is increasingly regarded by the EU and the United States as an unfair subsidy that breaks global trade law.” What about for India? It is doubtful if Commerce Secretary S R Rao who will be leading a team of Indian government officials to China can change anything in the present stakes. Beijing is free to choose its ‘iron’ partners, but this choice should not be associated with India. From China’s point of view, Li’s foreign tour was certainly a success. He showed an affable face of the Middle Kingdom and many thought that the new leadership is different. It remains to be seen in acts. Regarding the Three Idiots, the story does not say if Ms Li, the Premier’s daughter gave her father a pirated version or an original DVD. But Mr. Li certainly enjoyed seeing the blue shores of the Panggong Lake with the majestic mountains of Ladakh as a background, it is however no reason to build a road on the opposite shore on Indian territory.